If you hadn’t noticed, views of the Corinthia from the air are increasingly available on the web. 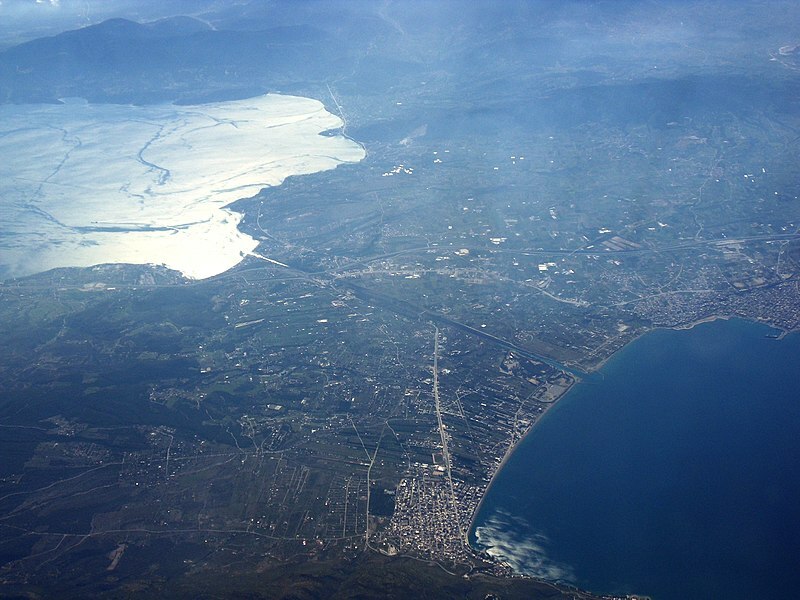 When I first started teaching years ago and wanted to project an image of the Isthmus for a class, I relied on my grainy slide photos taken on flights out of Athens. But over the last decade, camera resolution has increased, and organizations and people are posting aerial photos and satellite images online. 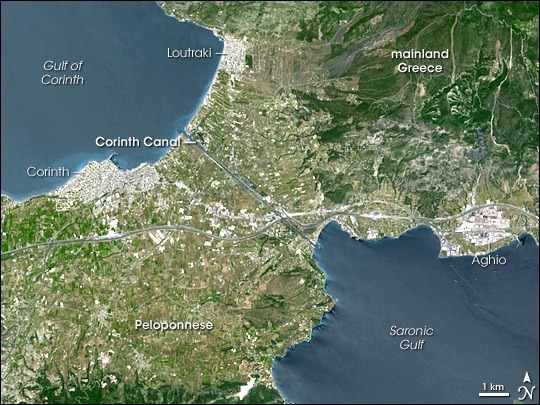 For example, Philos2000 recently posted the image below on the Isthmus of Corinth Wikipedia article. Anyone can produce images of the Corinthia for teaching purposes through the wonderful tool Google Earth. The three images below, for instance, show how Google Earth allows you to zoom in and out, tilt, rotate, etc.. at decent resolution. 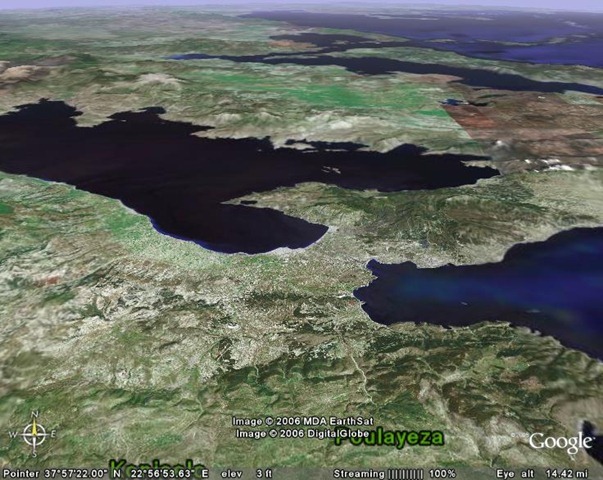 And because Google Maps accesses Google Earth, you can display satellite layers over maps of the Corinthia. 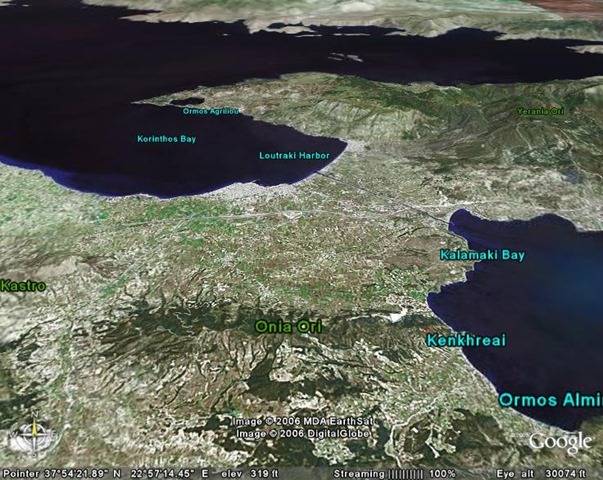 NASA has also released numerous satellite images of the Isthmus freely available for educational purposes from the NASA Earth Observatory website. This satellite image was taken on May 9, 2005. See this Earth Observatory page for the details and explanation. If you really love them, you can set them as your wallpaper. 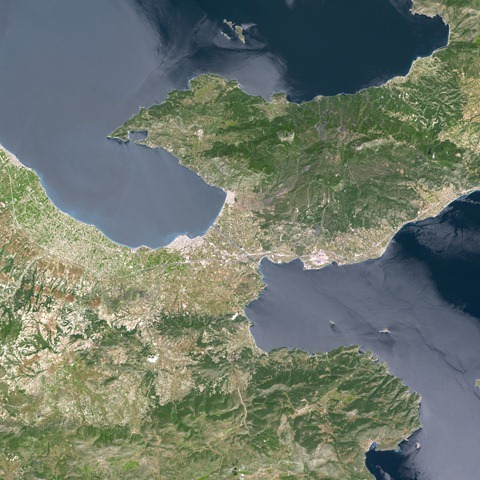 Same image – labeled by NASA Earth Observatory. 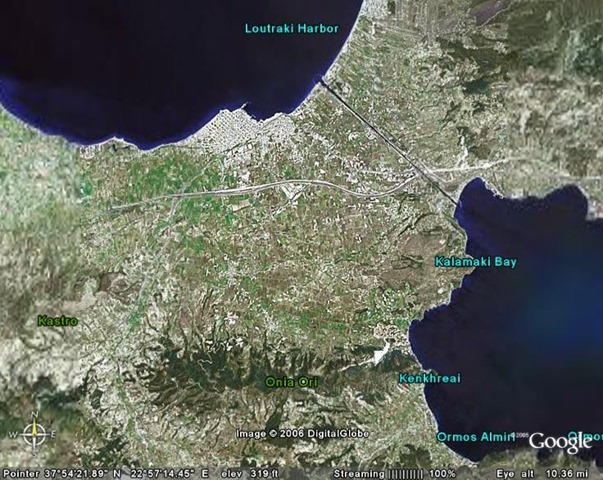 Such resources have made it easy and fun to project the territory that was so central to the life of this ancient city.